In order to build a rock solid website perfectly optimized for seo to enhance traffic you need to dive deeper into the analytics of how to use webmaster tools for an advanced form of search. Essentially you need to look at your website not from the perspective of a seo expert but from the eyes of Google. Only then will you understand the strengths and weaknesses of your website and how to improve. This is the valuable insight provided by webmaster tools where you gain the distinct advantage of knowing how and where to place links and keywords strategic to your website. It must be clearly understood that optimizing a website for rankings needs to take into account traffic click though rates as well. It would be no point sitting on the top with no monetary conversions. Thus webmaster provides a holistic and critical analysis on performance of keywords, content and site appearance. Webmaster tools configuration will analyze each and every aspect of your website in relevance to its search appearance and how that appearance affects your rankings; the search queries analytics in webmaster tools provides section wise indicators of web traffic accessing your site. Thus it will provide you data on every aspect of the content in terms of its performance and quality levels and how each element affects your site not only in terms of rankings but also traffic generation as well. Query: identifies important keywords relevant to content but in need of improvement through further optimization. Shows ranked keywords. Clicks: provides you valuable data on how many people are actually clicking on your links in search mode for access to your site. Impressions: this shows the number of times your site pages have been viewed. CTR: the click through rate which analyses the clicks on your search results in percentages. This helps you understand whether you should improve your Meta tags for enhanced CTR. Average position: Analyzes individual keyword value with placements of rank with relevance to each keyword. Helps in analyzing performance. When Google bots discover new pages in Google or even those that have been updated, the process of discovery is termed crawling. One of the main culprits of poor website performance is crawl errors. These are particular errors within the protocols of a website that hampers navigation and access. A website with many crawl errors that are not being indexed or accessed by Google will not provide a smooth operating experience for users as certain elements and links of the site may not open. Crawl areas weaken a sites credibility which results in lowered rankings. This is where webmaster tools play a major role in detecting hundreds of crawl areas. URL errors can be responsible for a page returning time and again with an HTTP error code. 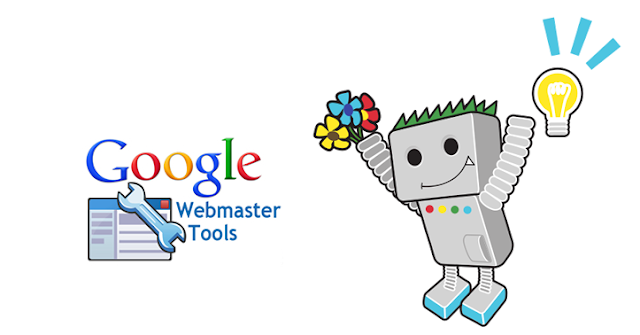 Webmaster tools configuration can provide details of all such errors so that you can rectify them or remove bad URL errors. Although you may removed non indexed files, removing indexed URLS require a different process. Once the above steps have been implemented they will be removed once Google bots recrawls the site again. However the new updated webmaster tools also allows you removal by verifying the site and then clicking on site configuration. After that click on crawler access and then click URL removal. Crawl delays can be programmed using a robots.txt.file. During the search process crawlers have to go through robot.txt files to acquire information however one should understand that a robot.txt file is only a guideline for bots and not a mandatory prerequisite for search. In order to delay the pace at which Google bots crawl through your site you can set a delay. The advantages of such an action encourage Google bots to crawl slowly through your website picking up and indexing more information. For example, setting a crawl delay of 30 seconds will result in the indexing of a 1000 page website in approximately 8 hours. For verification you will need to upload an html file or acquire another method by using a Meta tag that can be added to the Word press website. You can paste a Meta tag into the header or footer section by use of an insert headers and footers plug in. now save all the changes and return to the webmaster tools section and click on verify. 4. Alternately if you have downloaded an seo plug in to your WordPress site then locate your verification key which can be seen in the meta tag and paste the same into the plug in. just click on seo which can be found in admin side bar, go to webmaster tools, paste key and then verify as before. The main advantages of submitting a sitemap is that you get your entire website indexed by Google and this certainly increases your chances of a higher ranking. Submitting can be done in the following procedure through webmaster tools. To run your site through security issues, just login to webmaster through Google then go to security issues.